Every year for Christmas, my family and I would use brown papers to wrap, to save cost. The reason being is because we are going to tear them up anyways when we unwrap. I know some people would gently peel the cellophane tape but not everyone is going to do that. It has been a pretty long time since I used the juices on the right side of my brain, which is creativity. This year for a change I thought I should do a little more than just helping my sister paint on brown papers. 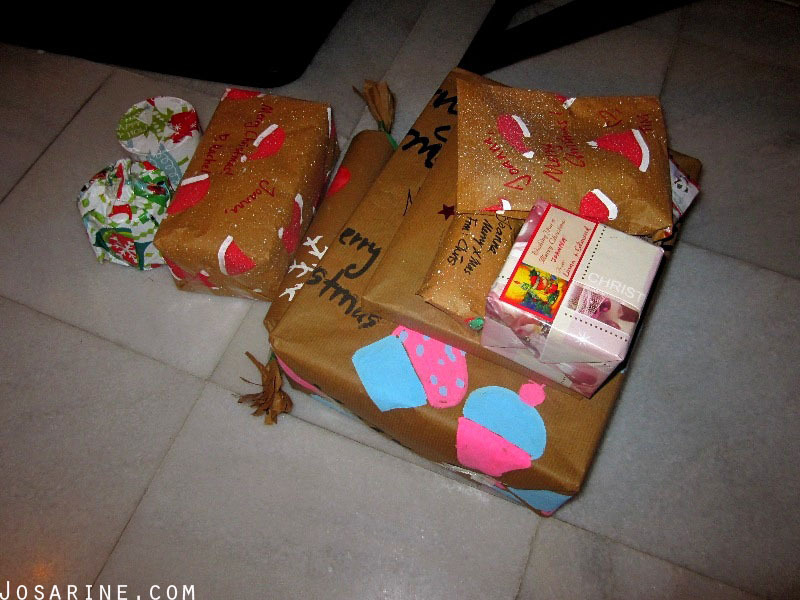 Wrapping presents is a norm already, it is so common and that’s what every family does. Therefore this year for a change, someone gave me an idea to do a hamper instead! When I say hamper I don’t mean those basket hampers you see at supermarkets. Hampers can be done with a box, bag, or anything that can hold the items together. Just need to use some imagination and creativity. 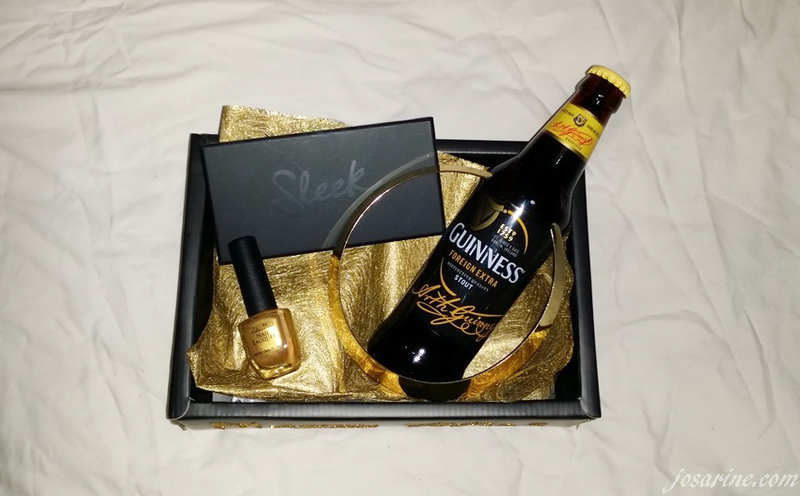 So here I would like to share with you a very simple hamper that I made with the theme colour of Black and Gold. I want my box to look really glam so everything that I will be putting in the box would be my favourite Black and Gold items. But before that let's start with the box! I just needed a few items for this. 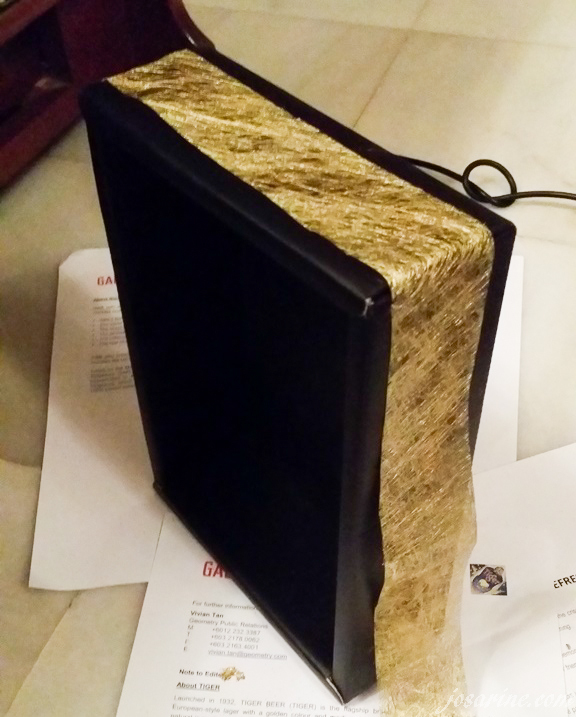 The black box was found at home, so I just got the gold tissue wrapper, some gold dust, and UHU glue. 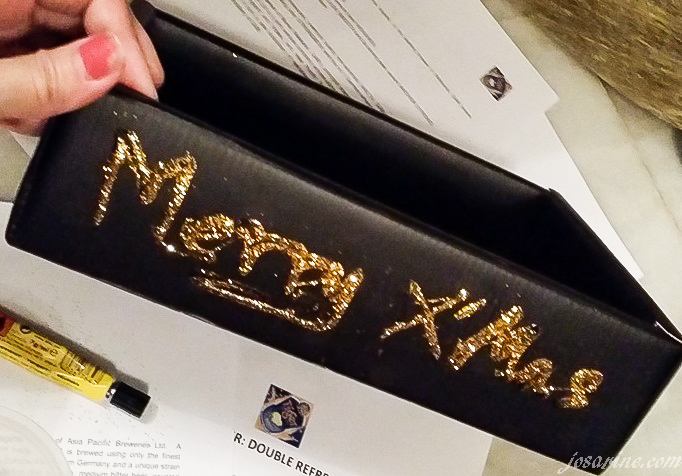 Using the UHU glue, I wrote "Merry X'Mas" on the box, let it dry for a few seconds before I poured the gold dust on top of it. 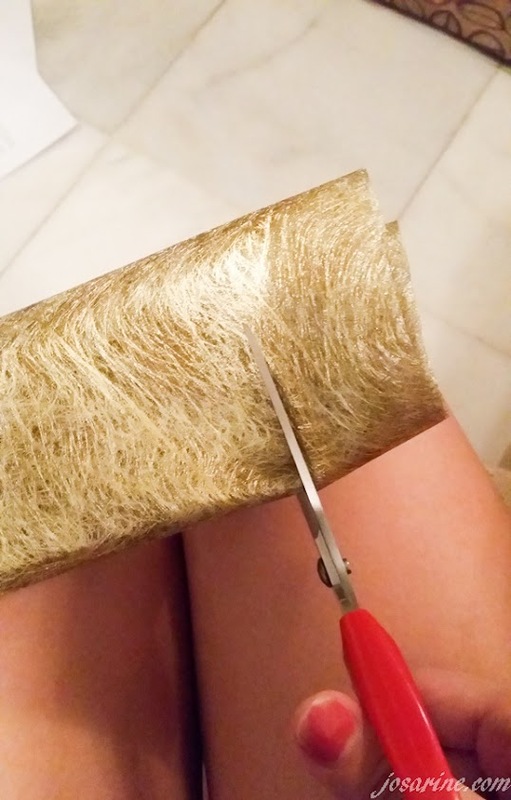 Next I folded my gold tissue paper so that I can cut it easily. I use the gold tissue that I've cut and put them around the box. Then it'll be something like this. 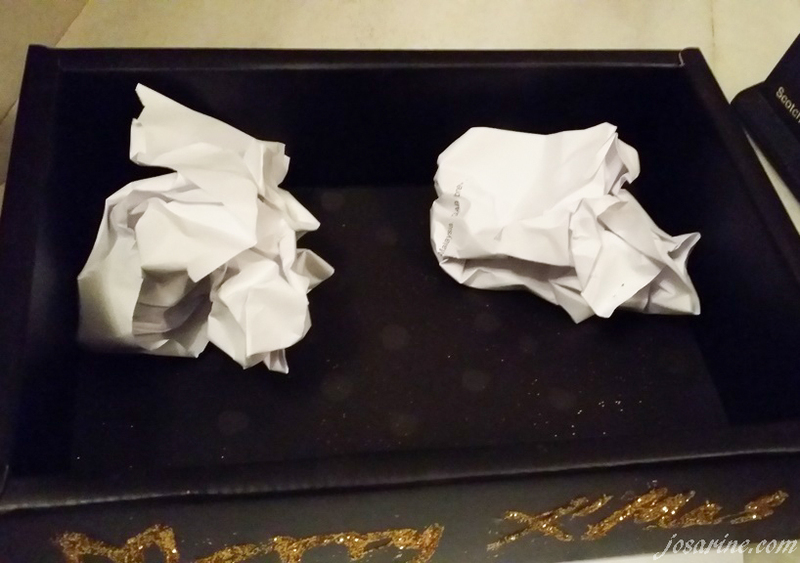 To create a cushion-like for the base, I squashed two pieces of paper. 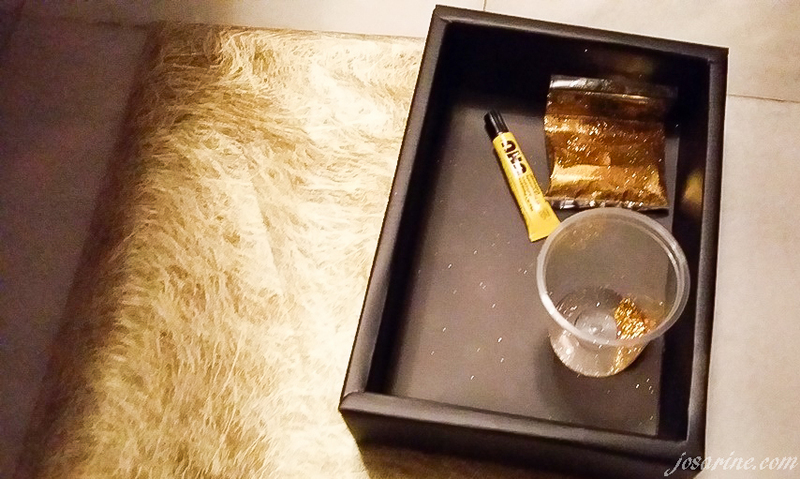 The remaining of the gold tissue paper I used it for the base, and then I put the items the Gold and Black items that I love into the box. In my box there's my favourite Sleek palette, a gold necklace from H&M,.and my gold nail polish which I received as a gift last Christmas. 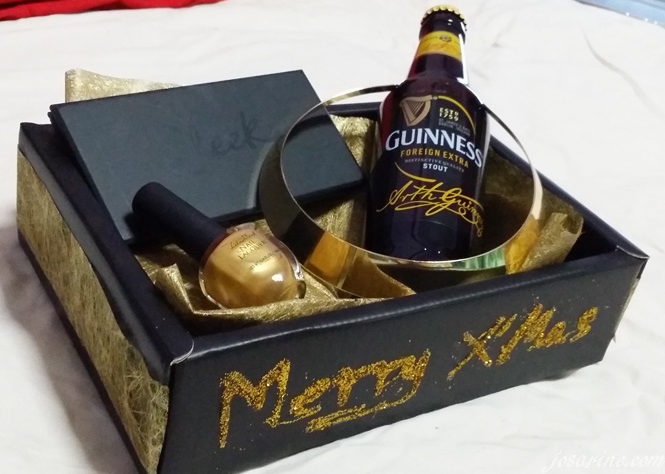 Of course not forgetting one of the best alcoholic drink to match my Black and Gold theme, Guinness. 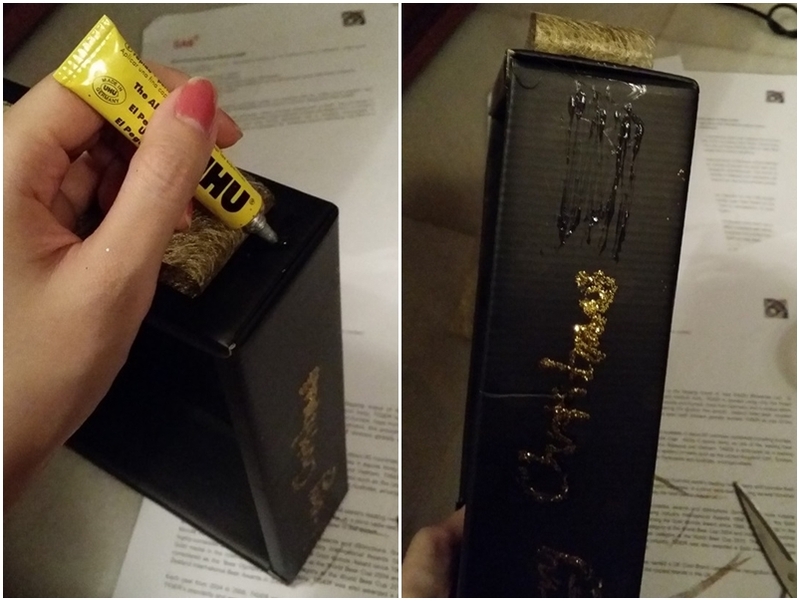 Here I can choose to just cover the box with the lid, or wrap the items with the Gold paper and later on wrap the whole box with a clear plastic (like the ones you see in hampers). 2. Upload it to Facebook with the caption "I want to win a crate of Guinness for Christmas and New Year!" (make sure your Facebook is set to public so I can see it) and HASHTAG: #celebrationofmore, #signaturestyle and #josarine. *You may use Instagram and then link it to Facebook, just remember to hashtag! 3. Copy the link of your Facebook shoutout and paste it on the comments below with your NAME and EMAIL. The 2 contest entries that I love most will be given a crate of Guinness each(24 cans)! - Contest is only opened for KL and Selangor. - All requirements of the contest must be fulfilled.